All Memorial Hospital patients receive a copy of the Notice of Privacy Practices. To view a printable version of Memorial Hospital’s Notice of Privacy Practices, please click the button below. Questions regarding privacy practices should be directed to Memorial Hospital’s Privacy Officer at (785) 263-2100. 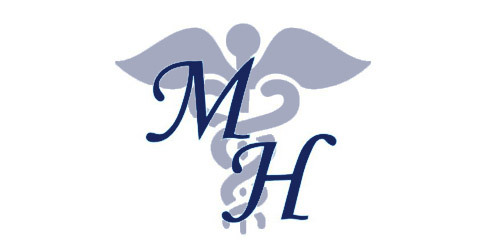 Memorial Hospital’s Notice of Privacy Practices can also be viewed below. This Notice of Privacy Practices is effective as of 9/21/2016. UNDERSTANDING YOUR HEALTH INFORMATION — HOW IT IS USED AND HOW IT MAY BE SHARED WITH OTHERS: There are laws that require we maintain the privacy of your health information and tell us how we may use and disclose health information. Those laws also require that we make a copy of this Notice available to you. This Notice describes how we use and disclose your health information, and your rights pertaining to that information. This Hospital participates in electronic health information technology or HIT. This technology allows a provider or a health plan to make a single request through a health information organization or HIO to obtain electronic records for a specific patient from other HIT participants for purposes of treatment, payment, or health care operations. HIOs are required to use appropriate safeguards to prevent unauthorized uses and disclosures. You have two options with respect to HIT. First, you may permit authorized individuals to access your electronic health information through an HIO. If you choose this option, you do not have to do anything. Second, you may restrict access to all of your information through an HIO (except as required by law). If you wish to restrict access, you must submit the required information either online at http://www.KanHIT.org or by completing and mailing a form. This form is available at http://www.KanHIT.org. You cannot restrict access to certain information only; your choice is to permit or restrict access to all of your information. If you have questions regarding HIT or HIOs, please visit http://www.KanHIT.org for additional information. If you receive health care services in a state other than Kansas, different rules may apply regarding restrictions on access to your electronic health information. Please communicate directly with your out-of-state health care provider regarding those rules. We have a Health Information Portal available through our electronic health record vendor. This is a secure website. If you choose to sign up, you will have access to a portion of your medical record, some of which may contain sensitive information. Validation of your identity is required to sign up for the Portal in order to protect the privacy and security of your health information. The Portal sends a sign up email to the email address you provide to the Hospital. There are security questions and login set up by you to protect the privacy and security of your health information. You will then be able to set up representatives within your portal if you would like to share your information with others. Patients younger than 13 years of age or those with a medical durable power of attorney will be set up with Proxy accounts via the Health Information Management Department at the Hospital to ensure compliance with federal and state laws. It will be your responsibility to notify registration in person at the Hospital if your email address changes. You Have the Right to Ask for a Restriction. You have the right to ask that we restrict or limit some part of your health information. You can also ask that we limit information about you to a person who is giving you care or paying for care like a family member or friend. For example, you could ask that we not give out information about some treatment you have had or that we not tell certain people specific information in your health information. We are not required to agree to your request unless you personally pay for a service and request that your insurer not be notified. However, when the law requires that we bill your insurer, we must do so. You must be aware that when your request for restriction has not been made prior to submission of the Hospital’s payment request to the third party payor, it may not be possible to facilitate the requested restriction. If you wish to restrict the submission of health information to your third party payer, you should make that request prior to the commencement of treatment. There is a person called a Privacy Officer who is the only one who can agree to your request. We will notify you if the restriction will be applied or not. You have the Right to Receive Notice if Your Health Information was Breached. Not all types of breaches require notice, but if notice is required, we will provide ‘you notice’ that will explain the situation and what steps you can take to protect your privacy. You Have the Right to a Paper Copy of This Notice. A copy of this notice is available to you at your request and you have a right to a copy of this Notice at any time. Even if you get this Notice over e-mail, you still can get a paper copy of it. You can request a copy from the Hospital or you can go to our web site, http://mhsks.com/MemorialHospital/privacy.html, and obtain one there. For Payment. We may use and give out your health information about the treatment you receive here in the Hospital so that you or the insurance company or even a third party can be billed. For example, we may give your health insurance company information about your surgery so that your insurance plan will pay us or pay you for the surgery. Sometimes we may have to tell your insurance company before your surgery to get an “ok” from them so that they will cover the surgery. For Health Care Operations. We may use or give out your health information to make sure we are giving you the best care possible. For example, we may use your health information to see how well our staff takes care of you. We may combine your health care information with other individual’s information to decide on additional services we should offer to our patients and to see if new treatments really work. We may also give your health care information out to doctors, nurses, technicians, medical students, and other hospital workers for their review and for their studies. We may also combine information we have with other hospitals to compare and see how we are doing and how we can provide better treatment. We may remove information from your health information so others who look at your health information cannot see your name. This way, we can study information without knowing the individual names. Here are some other reasons we may use and disclose your health care information: to see how well we are doing in helping our patients; to help reduce health care costs; to develop questionnaires and surveys; to help with care management; to make sure we are doing our job well and successfully; to better train people so they can get the skills they need to best perform their special skills; to help insurance companies better serve you in their policy making; to help those that check up on hospitals and ensure that we are doing our job correctly; to help us plan and develop the business part of health care including fund-raising and advertising so that we are profitable. For example, if you have surgery we may use your surgery information to see how long you were in the operating room so we can see how to schedule operations better. Hospital General Public Disclosure. We may give out limited information about you which will be available to the public. While you are here at the Hospital as a patient, the information we give out may be your name, room number in the Hospital, and your general condition (for example, “Fair,” “stable,” etc.) and your religion. All the above information except your religion can be given out to the public who ask for you by name. Your religion may be given to a minister, priest, or rabbi even if they do not ask for you by name. This is so your relatives, friends, and religious persons can visit you in the Hospital. If you do not want this information given out, you must write the Hospital or indicate it by writing this on the admission/consent form. Worker’s Compensation. If you are involved in an injury that happens while you are at work, we may have to give out your health information so your medical bills can be paid by your employer. This is called worker’s compensation. Public Health Risks. We may give out your health information without your permission if there is a danger to the public’s health. Some general examples of these dangers: to avoid disease, injury or disability; to report births and deaths; to report child abuse and neglect; to report reactions to drugs and other health products; to report a recall of health products or medications; to tell a person they have been exposed to a disease or may get a disease or spread the disease; to tell a government authority if we believe a patient has been abused, neglected, or the victim of violence; to let employers know about a workplace illness or workplace safety; and/or to report trauma injury to the state. We may also, with consent, give immunization information to a school. Law Enforcement. We may give out your health information if asked for by a police official for the following reasons: for a court order, subpoena, warrant, or summons; to find a suspect, fugitive, witness, or missing person; to find out about the victim of a crime if we cannot get the person’s okay; about a death we believe may be the result of a crime; about some crime that happens at the Hospital; in emergencies to report a crime, the place where the crime happened, the victim of the crime, or the identity, description or whereabouts of the person who committed the crime. If you are an inmate of a prison or placed under the charge of a law enforcement official, we may give out your health information (1) to the prison to provide you with health care; (2) to protect the health and safety of you and others; or (3) for the safety of the prison.